Some years ago, I edited Jamie’s quote letter which increased take-up from 50% to 70%. So he came to me when he wanted to capture email addresses by offering a downloadable colour guide. 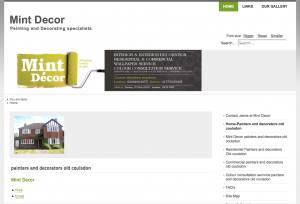 He’d built his own website using Joomla (see ‘before’ image), but confessed it wasn’t generating enquiries and he found the interface difficult to use. I told him WordPress would be a lot easier, that 22% of the world’s websites now use it (including mine), and that we needed to ensure his website would do him justice before we drove traffic to it using social media and the colour guide incentive. 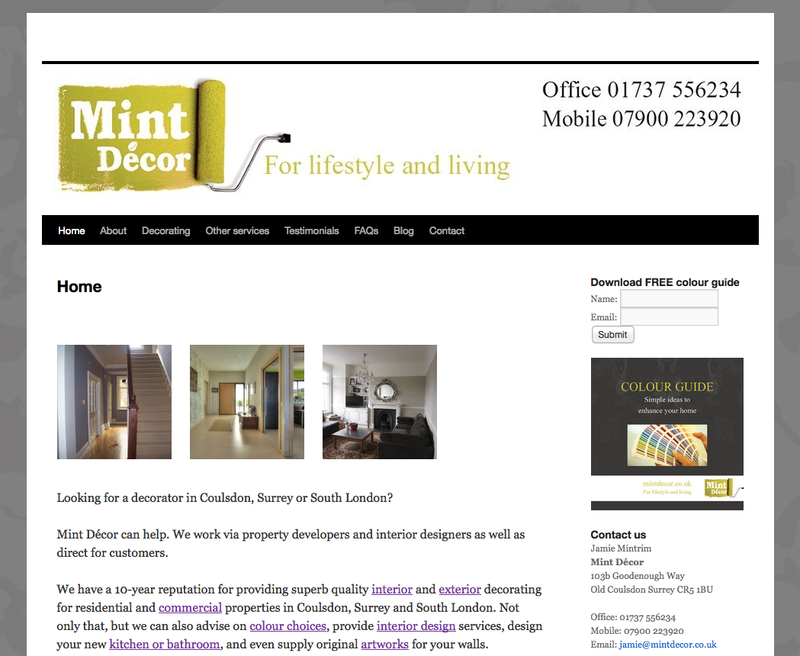 We agreed on a simple WordPress theme, Jamie provided new images and updated information, and I wrote new web copy and structured the site, using tiled galleries to display his work at its best. I then created the downloadable colour guide and added a plugin/widget to capture email addresses. Jamie will now run a Facebook ad campaign, and we’ll review results in a month. 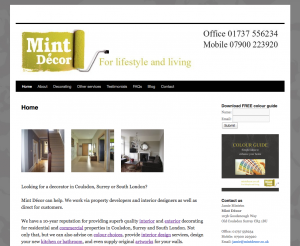 You can view the site at mintdecor.co.uk.